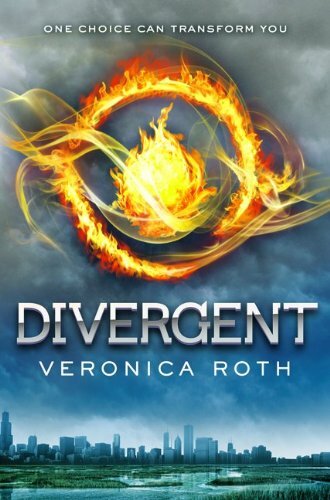 For those of you out there who are huge YA fiction fans (young adult, for those of you who are unfamiliar with the acronym), you may have already read Divergent, Veronica Roth‘s first book in a post-apocalyptic world series that takes place right in our own Chicago. For those of you who haven’t read it, I highly recommend it as a fun read. I am currently on book two, Insurgent, and book three is in the works, with a projected release date sometime in 2013. You can follow Veronica Roth’s tweets here. The reason for this update is because it’s going to start filming in 2013, and Neil Burger (Limitless, The Illusionist) will be directing, and Evan Daugherty (Snow White and the Huntsman) is writing the screenplay adaptation. One of the Dauntless faction members in the book is Tori, who is specifically an Asian in her 20s…So of course, I’m envisioning an audition for the part! Just waiting on casting for more roles to open. Currently, only Shailene Woodley (The Descendants) has been cast as Tris. Here’s my reel, I can do tough! And I’m totally willing to get super buff and in Dauntless shape for the part! In fact, here’s a fitness tip for you all. You can easily squeeze in some pull-ups into your day by installing a pull-up bar over your bathroom door and making yourself do one each time you go to the bathroom! This one is nice because it allows you to still be able to close the door without it being in the way. This entry was posted in Acting Blog and tagged amazon, asian actress, asian american actress, Cindy Chu, divergent, divergent casting, divergent movie, evan daugherty, insurgent, limitless, michigan acting, michigan actress, neil burger, pull up, pull up bar, pullups, scripts, shailene woodley, snow white and the huntsman, the descendants, the illusionist, tori, tris, tris prior, veronica roth. Bookmark the permalink.